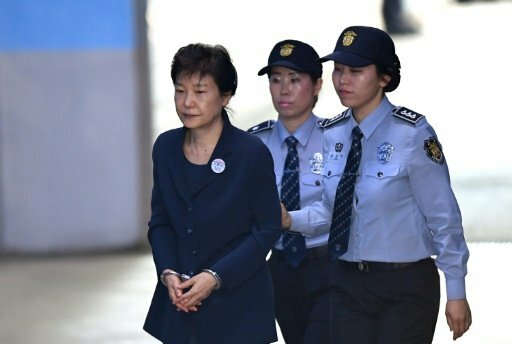 A top South Korean business tycoon, on Thursday, in court, backed prosecutors allegations that the ousted South Korean president, Park Geun-Hye, solicited bribes from businesses in return for policy favours. Chey Tae-Won, chairman of SK, the country’s second largest conglomerate after Samsung, became the first business mogul who took the stand at what is being dubbed in South Korea “the trial of the century”. Chey was one of seven tycoons that Park held confidential meetings with in February last year. She denies the allegations, arguing companies made voluntary donations to two foundations she said were aimed to help develop sports and culture. Chey admitted in court that he had sought government approval for a merger and acquisition project, a license for duty free shop and the early release of his brother who was in jail for embezzlement when he met Park near the presidential Blue House. One of Park’s top aides, Ahn Jong-Beom, now arrested, asked SK to donate an additional 8.9 billion won ($7.8 million) to one of two foundations allegedly controlled by Choi Soon-Sil, a confidante of the impeached ex-president. SK, which had already donated 11.1 bilion won to Choi’s foundations, rejected the request and its request for policy favours was declined. “Is it true that the accused Park Geun-Hye expressed gratitude over the 11.1 billion won SK had donated and asked for continuous coooperation (for the two foundations)?”, prosecutor Lee Won-Seok asked. Park was silent as Chey was questioned. Choi was also in court. Both women are in jail and on trial for allegedly accepting or seeking millions of dollars in bribes from the country’s huge conglomerates, including Samsung. If convicted of bribery, Park faces a minimum sentence of 10 years in jail, and a maximum of life. Samsung’s heir Lee Jae-Yong, also arrested, denies asking for policy favours when he met Park, painting Samsung as a victim of blackmailing by the ex-president and Choi.